Let's talk about how having a partner like S&S Programming can help you focus on what your business really needs. S&S was started in a college dorm room in 1981 and hasn’t looked back since. In the ensuing years S&S has grown to specialize in the development of Scientific, Agricultural, Finance and Educational systems with customers in 22 countries. Still based in Lafayette, Indiana, today S&S staff live and work across the globe. Listening to customers and translating it into “tech talk” both ways is and will always be a key factor to S&S’s continued success. Because we are committed to maintaining an on-going relationship and ensuring the satisfaction of every single user; contact and input from users is still solicited today. We don’t just develop software; we listen to users. You’ll find that’s what makes the difference when you do business with S&S. S&S first earned its reputation as a custom-software development organization. So what can we do together? What problems do you need to solve? Let’s talk about how having a partner like S&S Programming can help you focus on what your business really needs. S&S earned its reputation first as a custom-software development organization. Twenty-five years ago, we knew we could help local area producers better manage data on the farm. The result of our efforts was the Herdsman line of products; now utilized throughout the world. When a local high school asked about a Fund Based accounting program to satisfy the State Board of Accounts requirements we answered and CPA was born. With over 1,000 schools, corporations, and farms using CPA today, it's a good thing we figured out they didn't ask for a "fun accounting system." Twenty-five years ago, we knew we could help local area producers better manage data on the farm. The result of our collective efforts was the Herdsman line of products; now utilized throughout the world. 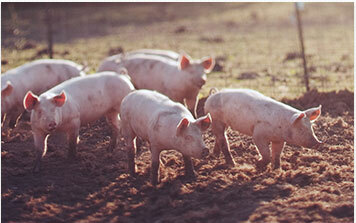 Herdsman is the only commercially available swine management system that allows farms to create their own proprietary genetic lines for evaluation within and across herds, enabling pork producers to improve their breeding performance on the measured traits. ©2017 S&S Programming. All Rights Reserved.